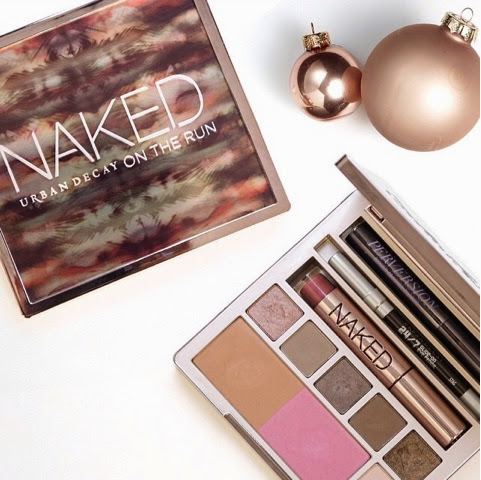 Urban Decay's Naked on the Run Palette has finally landed at Sephora online. It will be hitting stores Dec. 4th. Should also be available at Ulta online soon and in stores on Dec. 4th as well. But as much as I know everyone loves their rewards programs, I do have a way for you to save on this palette. So for you guys that don't have any discount codes or rewards saved up to use toward this purchase listen up. Right now on Urban Decay's site they are offering free shipping until 12/1 and code UD20 allows you to also get 20% off your entire purchase. Or if you racked up any UD Cash you could use that instead but not in conjunction with another offer. Get your palette from Urban Decay here!